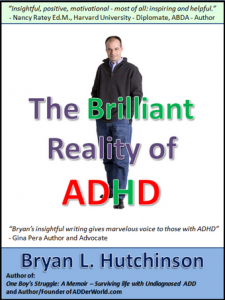 My new book The Brilliant Reality of ADHD will be published and available in the spring of 2009. There is already a long list of those asking for pre-orders. I do not personally sell my books and pre-orders for The Brilliant Reality of ADHD are not available. However, I will create a list of email addresses for those who have requested a pre-order and continue to add to it. Feel free to email me and have your email address added. 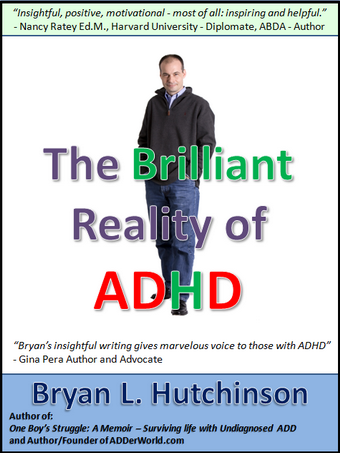 When The Brilliant Reality of ADHD is released, I will send an email out to those who have requested notification. In the mean time let’s start a brand new referral competition for ADDer World! In an effort to spread the word about our interactive ADDer World online ADHD Community Website I will give free copies of The Brilliant Reality of ADHD to the top 4 referrers! The 4 people who refer ADDer World to new members the most will win a free copy of my new book. We will keep track of the referrers by having new members input your name or aka when joining. Please be responsible when referring ADDer World and respect rules already established on other websites and forums. Spread the word about ADDer World to friends, neighbors, teachers, parents and anyone you think would appreciate ADDer World! If you have permission based email lists, send a message referring ADDer World and be sure to ask your list members to tell us you sent them. The competition for most referrals starts now and ends when The Brilliant Reality of ADHD is published. If you haven’t read my first book One Boy’s Struggle: A Memoir – Surviving Life with Undiagnosed ADD you can purchase it via the link and please feel free to share it when you have finished reading it! Spread the word, share and let’s walk together in our effort to create better tomorrows through sharing and learning from each other’s experiences. If you have a copy of One Boy’s Struggle: A Memoir – Surviving Life with Undiagnosed ADD, please take it along with you today, on your delightful adventures, and loan it to someone you know who will benefit from the story and messages within.